Fully-featured solution for visually watermarking your copyrighted images in batch mode. Why use a complicated, general-use photo editor when you can use a lightweight specially-build tool to perform the same task? PhotoMarks from Bits&Coffee is a fully-featured solution for visually watermarking your copyrighted images in batch mode. 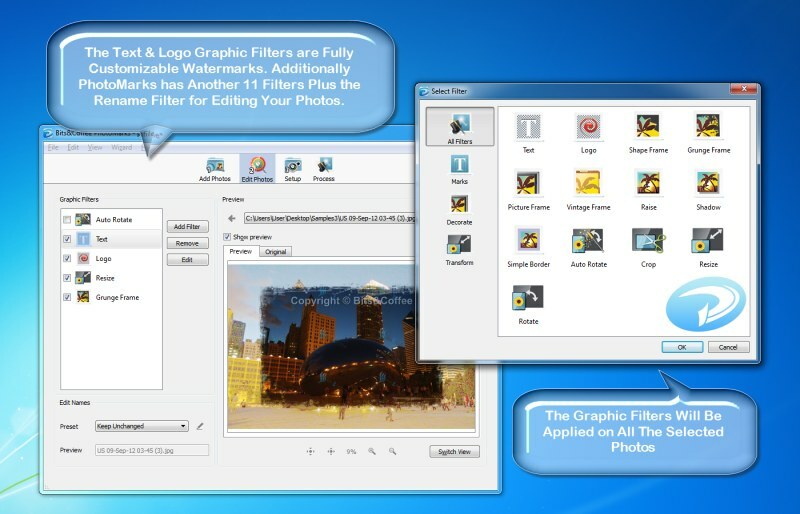 Why use a complicated, general-use photo editor when you can use a lightweight specially-build tool to perform the same task? PhotoMarks is an elegant solution with a greatly designed user interface, where previews are available for every step of the process.